There is two types of Foundation in this range. The Breathable and an Acne Control Foundation. 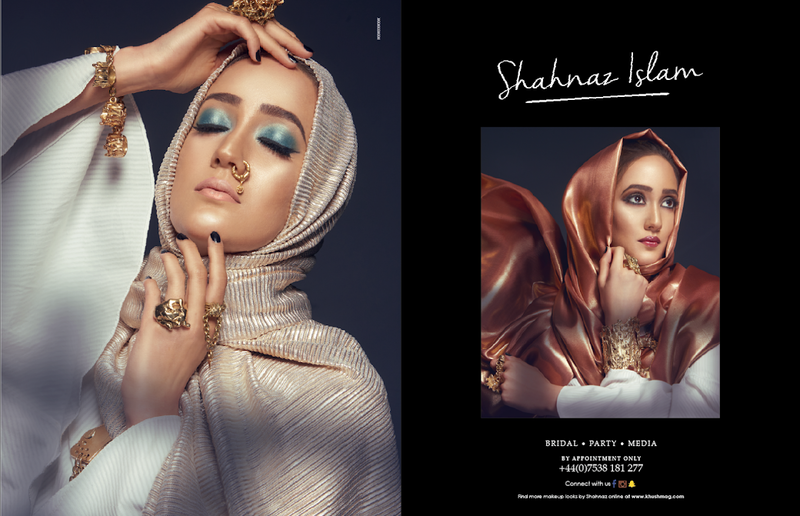 Alhamdullilah as i don't have Acne, I choose to go with the Breathable Foundation. The Acne Control has so many benefits and such a good everyday wear Foundation for those who have problematic Skin. I received two of their breathable Foundation in Almond and Beige shade. 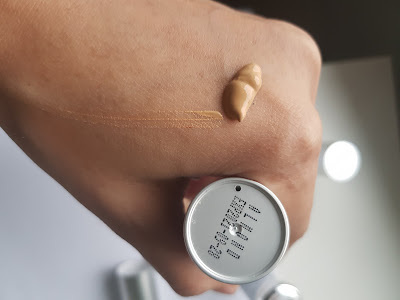 Almond was Perfect for my Skin tone and Beige is Perfect too when mixing with the Almond shade and I use this as a Highlighter. Lets start off with some background information on this Foundation. Celebrities use this, Beauty Editors, Dermatologist and Make up Artist use this range. 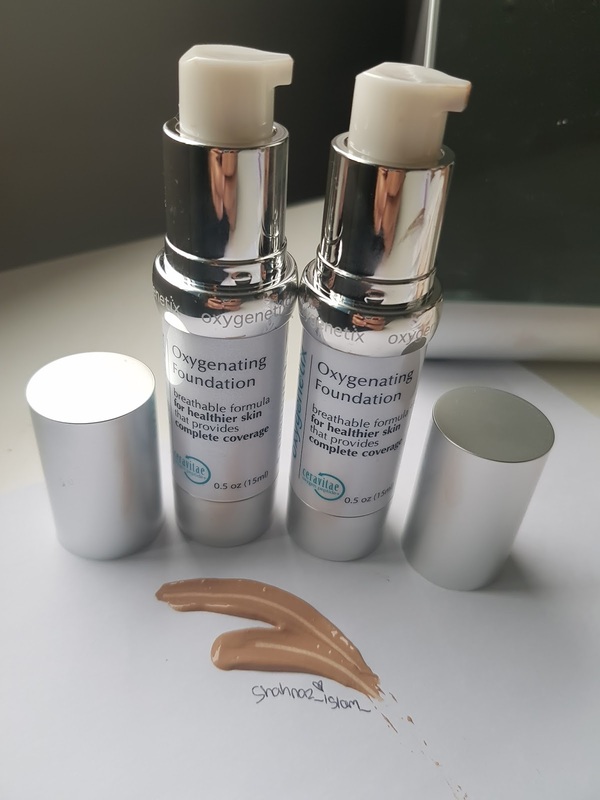 This is an Award winning Oxygenetix Foundation which is Premium Coverage with unsurpassed Skin Health boosting benefits. This is Breathable with a formula which allows your Skin to breath more than any other Foundations on the Market. Its Water-resistant, ideal beach Make Up and guess what? It does not Smudge. Yes it doesn't rub off on your clothes. I think i was more excited about this when i read this part. There are sooo many more claims on this foundation. Like no need to reapply during the day, Oil free, fragrance free, contains SPF25 UVA/UVB protection and also you can apply on top of burns, post-surgery and even after a facial laser. The Foundation was originally developed to heal and conceal Skin after Cosmetic Surgery and used by leading Doctors, Dermatologists and Skincare Specialist Worldwide. It doesn't just heal process of a number of Skin conditions, but is ideal for everyday wear. I truly believe that the Foundation is very good for everyday wear and helps to maintain and heal Skin in many ways. This foundation has 14 shades. 7 Yellow base Colours and the other 7 with Blue base colours. Mixing it up also makes it impossible not to find your correct Shade. I have added some images so you can see how these tone look against my Skin. The Ingredients contains Grape Seed Extract, Green Tea, Glycerin to heal and replenish mositure loss. The packaging is so classy and professional. 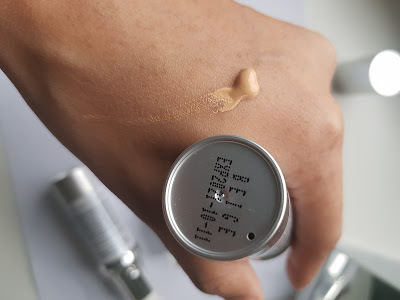 It looks like its from a health range or a spa range product ;) It has a really good pump which helps the Foundation come out nice and steady. Now tell me after reading this who would not want to try this baby out. Its got all the Claims that anyone wants in a Foundation. It just sounds too good to be true. This company is based in California. Products are made in USA. Website www.oxygenetix.co.uk (UK site) www.shopoxygenetix.com for all other states. Bottles contain 15ml of Foundation. Ok so I have been using this Foundation for over a Week. My first impression was caught on my Insta story. You guys that Follow me know that I was really impressed with how blendable, lightweight and amazing it looked on my Skin. It sank into it so nicely like I wasn't wearing anything. When I touched my Face i couldnt feel any product and it didnt rub onto my finger. I tested out many ways of application. Wearing it under a Primer, applying Powder on top and even applying with Brushes and Beauty Blender. It works well with any form of Application. 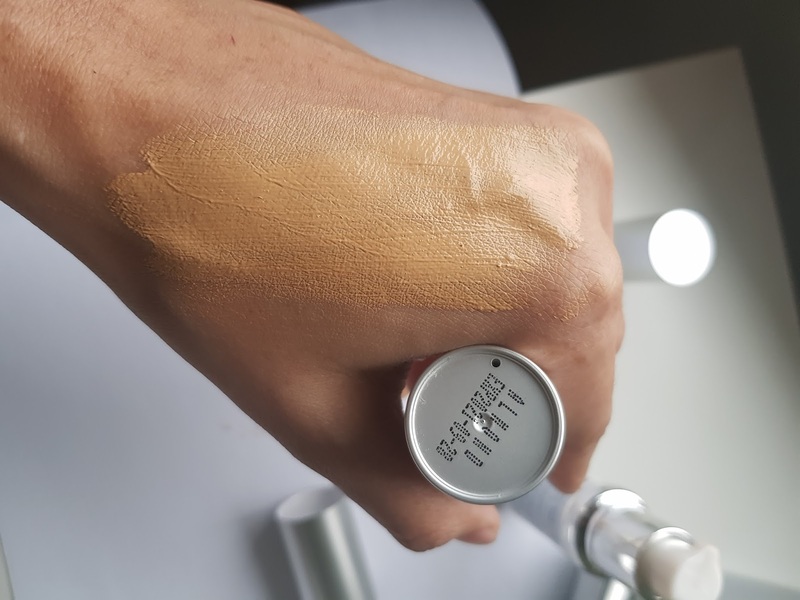 The Coverage of the Foundation is Medium Coverage. I use it without any Colour Correcting or Concealer. It evenly covers the Skin and leaves it looking Radiant. 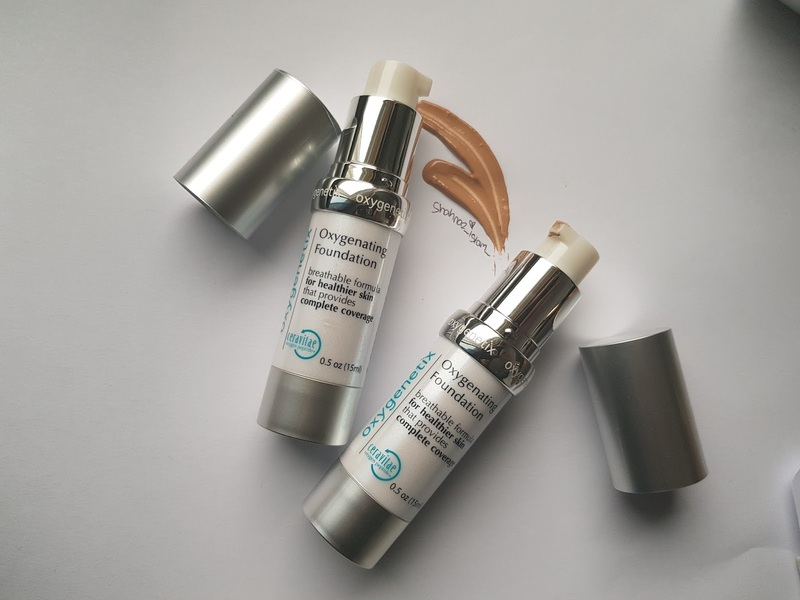 For anyone with really Strong pigmentation or burns you may need to add a little Colour Correcting or Concealer before appling this Foundation. Once this Foundation is in your Skin, it looks Semi Matte. It doesn't have any sort of sticky or weird texture to your Skin after applying. What I like about this finish is the more you apply it doesn't look cakey. I actually like this Foundation on its own, no powder, no additional concealer needed. 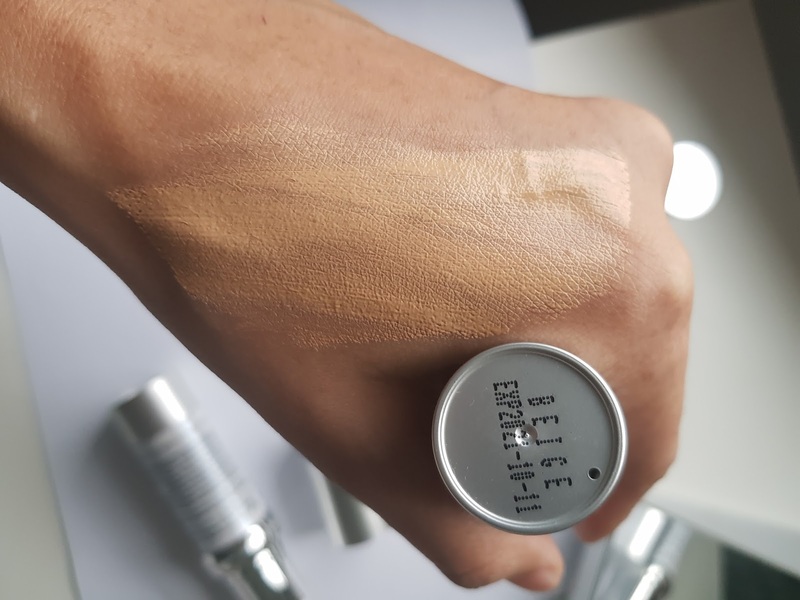 Its differently a nice everyday Foundation wear. I felt that the Foundations claims were spot on. 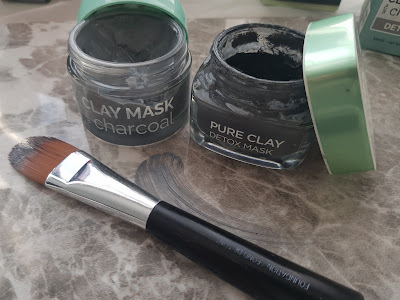 It didn't clog up more pore or didn't irritate my Skin in anyway even after using for a week, like literally wearing it everyday. It was easy to wash off, wear and did help keep that moist in my Skin. As my Skin is always so dry, it didn't look dry at all at any point. however I always get creases in my smile line and under eye. It did crease during the day but that again is something that didn't bother me as all Foundations crease with me.